Business hours: 6.30am to 1am, daily. 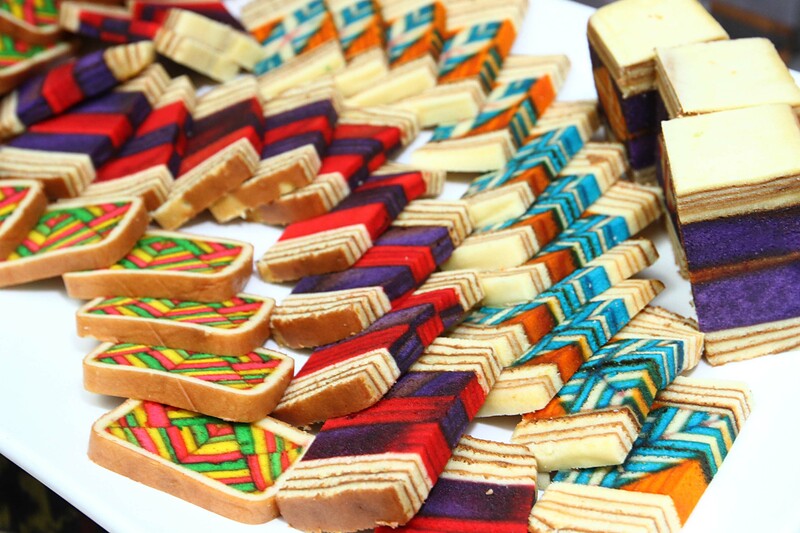 THOSE who want to indulge in Sarawakian gourmet before planning a trip to the Land of the Hornbills, can head to the Sarawak Food and Cultural Festival 2014 at Seri Pacific Hotel Kuala Lumpur. The festival that is on until June 6, will be a place to expose both domestic and international tourists to the Sarawak’s delicious traditional food. Hotel general manager Mohamad Halim Merican said Sarawak was a place for adventure with its vast wilderness and rich multicultural history. “From the lush rainforests, home to the famed orang utan, to the beautiful beaches and vibrant underwater life, to the music festivals that are talk of the town, it is only befitting that we celebrate Sarawak with feast and festivities,” he said. 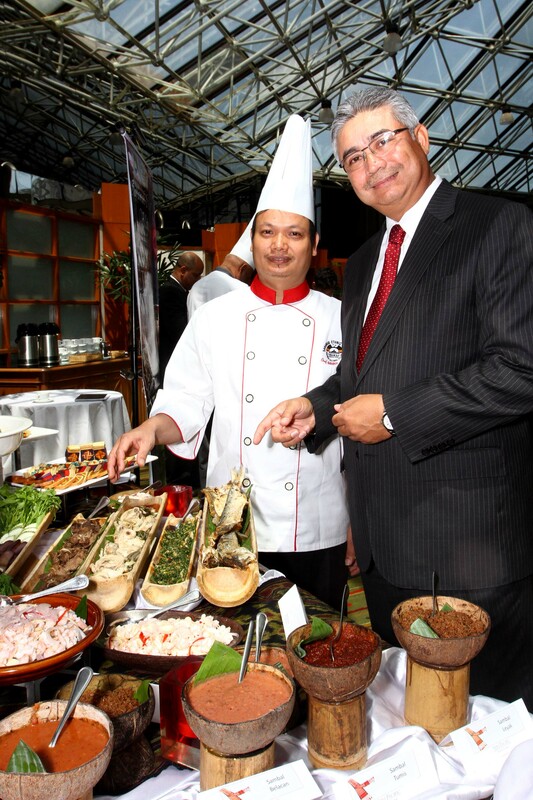 Mohmad Halim (right) and Sany, from Sarawak, show off the sumptuous spread for the Sarawak Food and Cultural Festival 2014 at Seri Pacific Hotel Kuala Lumpur. The media had a chance to taste several unique Sarawak cuisines, including Nasi Beras Bario, Manok Pancoh, and Bubur Pedas Sarawak. Kampung Budaya Sarawak sales and marketing manager Zaini Zainuddin, who spoke on behalf of chef Sany Kalol from Sarawak, said the menu was filled with purely traditional Sarawak food. “The food is made up of natural ingredients and herbs such as wild ginger. “The spread that will be served throughout the festival are not commonly found even in Kuching,” he said. He personally recommended a traditional Bidayuh dish called Daging Tepus Bidayuh. 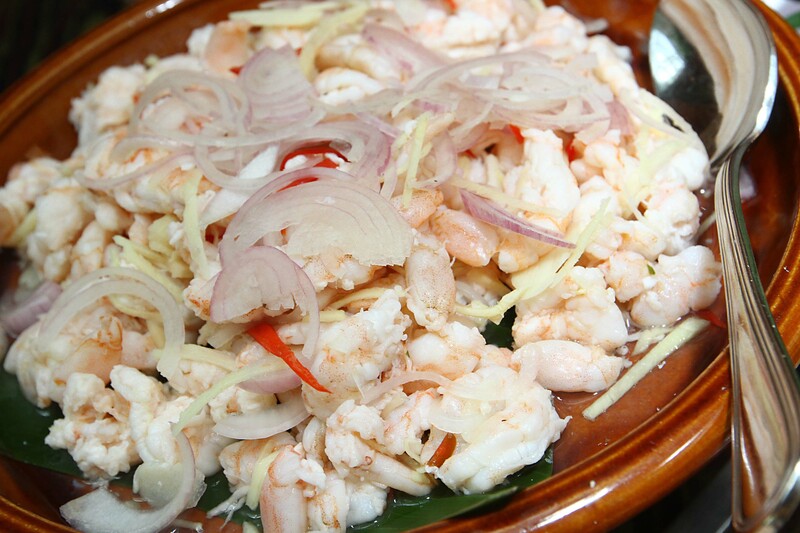 Umai Udang, a type of prawn salad is a traditional dish that is available during the fest. “The wild ginger and beef are fried together to bring out an enjoyable taste,” he said. Another one he recommends is the bubur pedas which had various ingredients. “It is not spicy despite it being called pedas (spicy),” he said. Sany said he stir fried beef, squid, chicken, vegetables, onions, serai and dried chilli together with coconut and tumeric. When sampled, the bubur pedas quickly became a personal favourite. It was slightly spicy which can be considered very mild. The Daging Tepus Bidayuh was lean, simple and tasty. 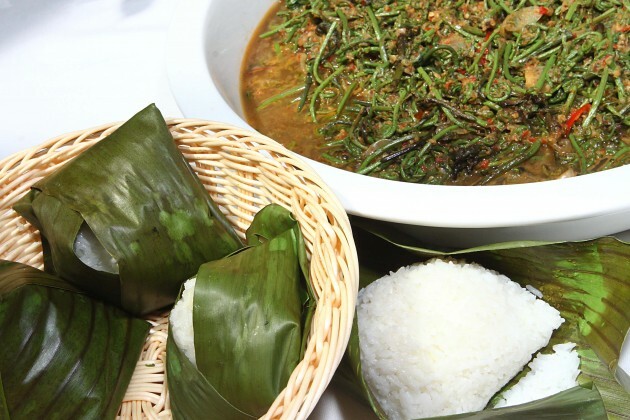 The Sayur Midin Belacan is recommended to be eaten with rice as it is salty and a tad spicy. Nasi Beras Bario (sticky rice) and Sayur Midin Belacan are some of the unique dishes served. Other food that will be served throughout the event are Manok Pansuh, Umai, Kek Lapis Sarawak, Linut,Tomato noodles and Corned Beef Murtabak. All these will be served at the buffet lunch and dinner, priced at RM60 nett and RM79 nett respectively.